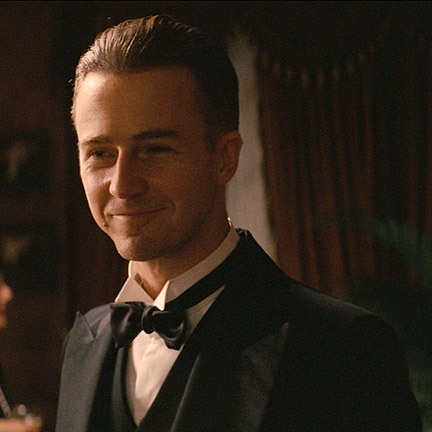 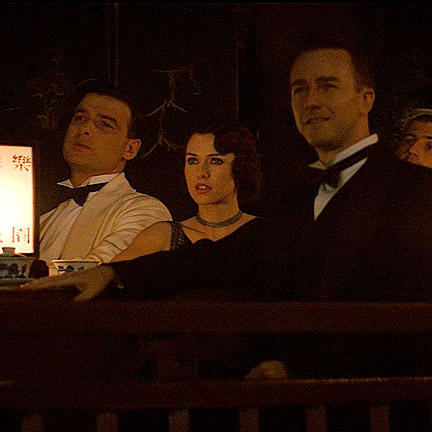 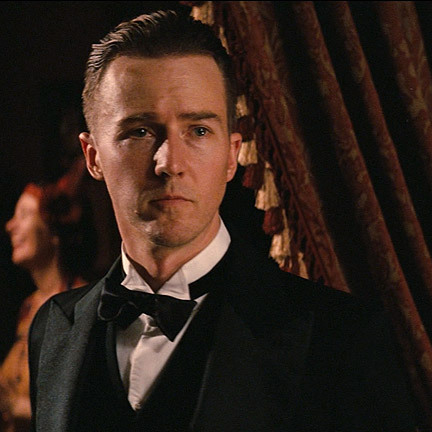 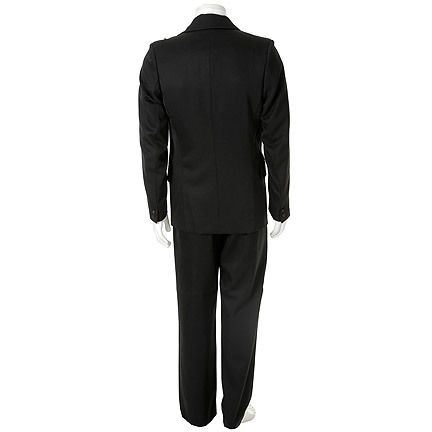 This garment was worn by the character “Walter Fane” portrayed by actor Edward Norton in the 2006 film “The Painted Veil”, co-starring Naomi Watts, and Liev Schreiber. 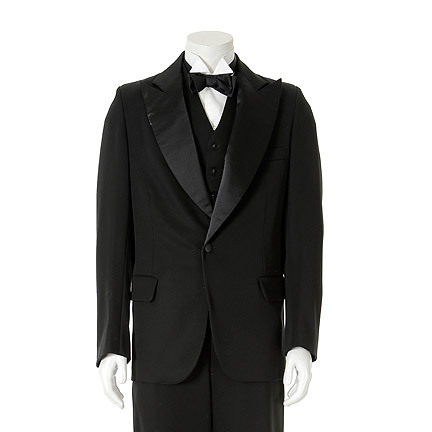 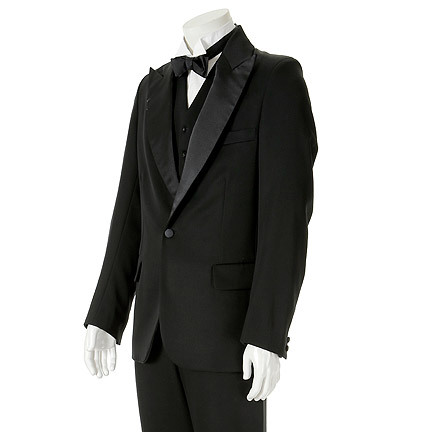 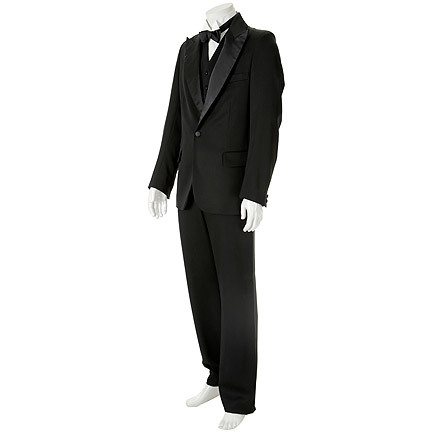 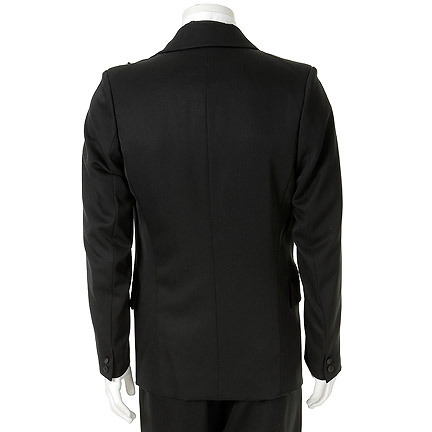 This custom made 1920's style three-piece black tuxedo features a peak silk label, single button closure, slash breast pocket, two flap pockets, and two button cuff. 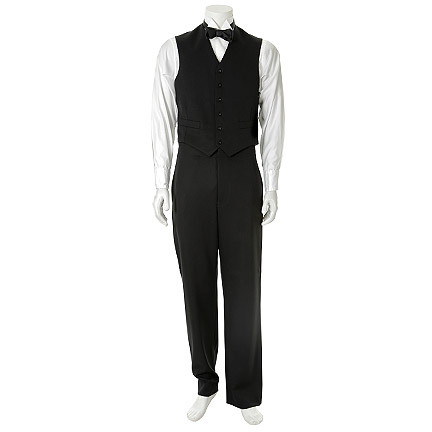 Pants have a button fly, internal suspender buttons, and two slash pockets. 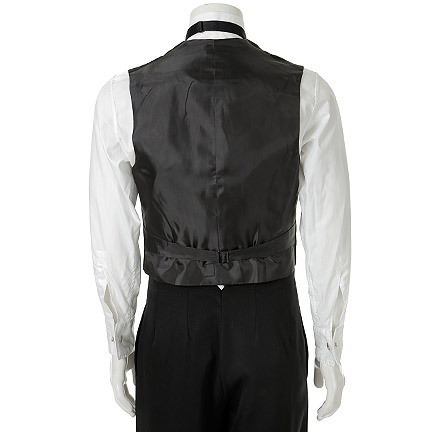 The vest has six button front and two slash pockets. 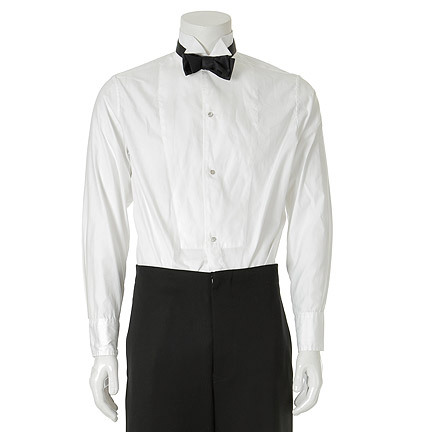 White bib front collarless dress shirt with detachable collar, two pearl button studs, and black silk bow tie. 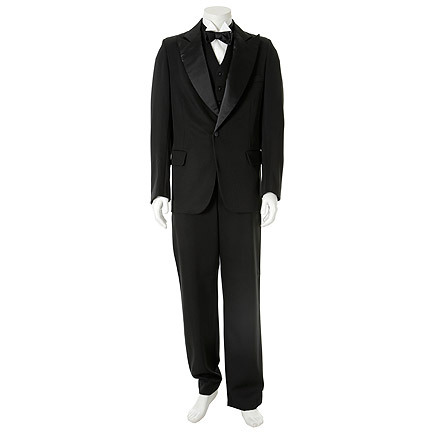 Mr. Norton wears this costume during a party in London where he meets “Kitty” (Naomi Watts) and he asks her to dance and in the at the Chinese opera when Kitty meets "Charlie Townsend" (Liev Schreiber) for the first time, a pivotal moment in Walter and Kitty's marriage as Townsend and Kitty soon start a passionate love affair.